Is there a ComiCon fan in your life? Find one-of-a-kind gifts at the Toronto Fan Days Holiday Show, which takes place on December 9 at the Metro Toronto Convention Centre. 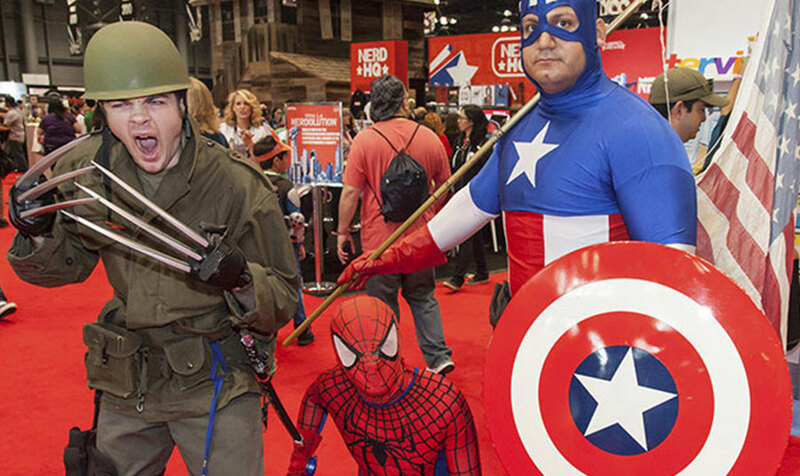 Presented by Toronto ComiCon, this festive celebration is a fandom extravaganza. Shop for unique comics, rare toys, memorabilia, and more. You'll also find fun activities. Dress up and take a selfie with your favorite cosplayers, meet local artists, and commission special pieces from the pros. What Can I Buy at the Toronto Fan Days Holiday Show? Find this festive shopping celebration at Hall D of the South Building at the Metro Toronto Convention Centre. Tickets cost $10 and are available at the door, and the market is open from 10:00 a.m. to 5:00 p.m. Kids 12 and under are free with a paying adult. Looking for a place to stay nearby? We're the only hotel connected to the Metro Toronto Convention Centre. Contact us now to book your stay today!